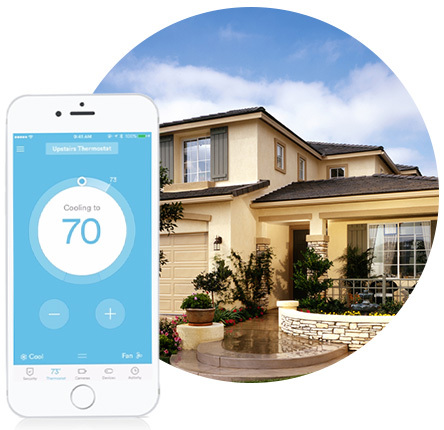 With RSF’s Home Automation systems, you can control everything from your surveillance system to your home’s thermostat with the touch of a button. Our handy, easy-to-use mobile app allows you to access all of your home’s security features while you’re at work or away from home. 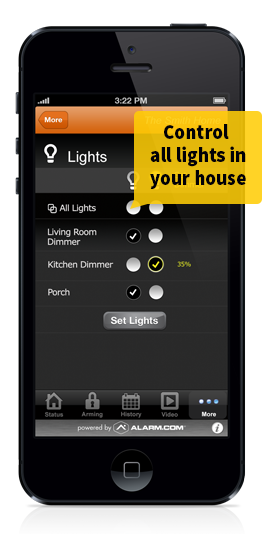 Home automation gives you peace of mind wherever you go, knowing that security and convenience are only a click away. Change temperature settings control temperature for your indoor pets, or have your house cooled down or warmed up before you get home. Lock and unlock your doors let in a nanny or visitor while you’re away. Arm and disarm your alarm system – ensure that if a visitor enters the home, a false alarm isn’t accidentally triggered. Program your lights and thermostat – save energy by only turning on heating/air conditioning systems and lights at necessary times.